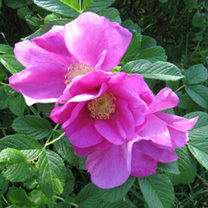 Rosa Rugosa is a species that should be present in every garden. 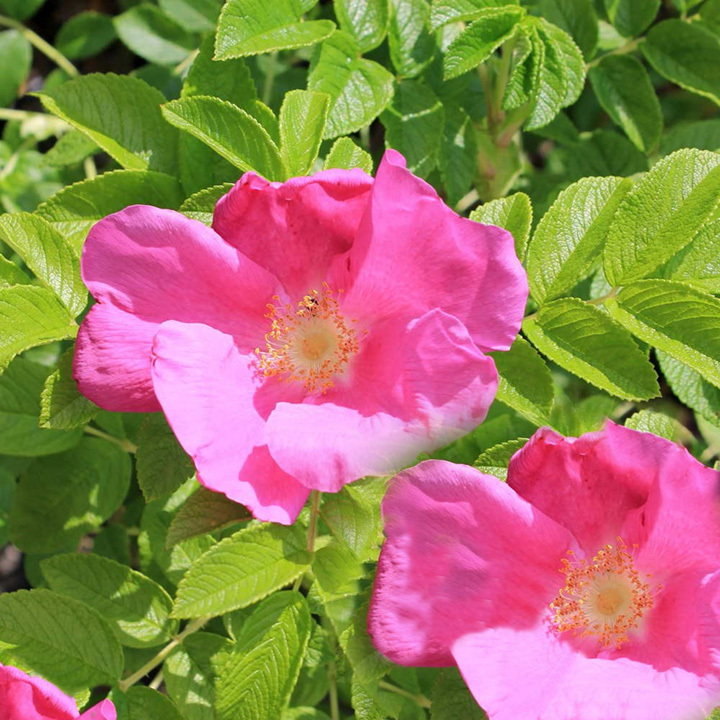 The gorgeous Rosa Rugosa has very large open, dark pink, single rose flowers, prickly stems, huge rose hips and an interesting leaf shape. This hedge plant brings interest year round as its foliage turns an attractive yellow in autumn. 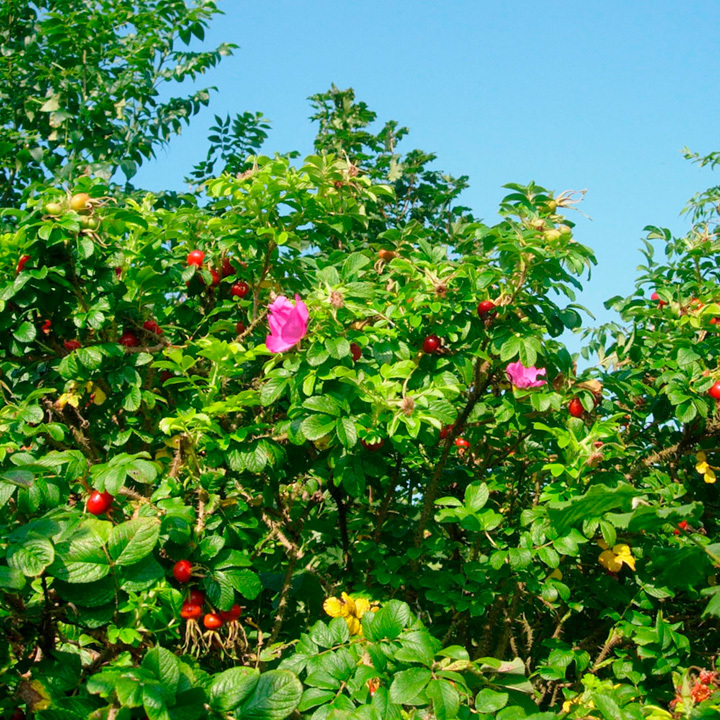 Rosa Rugosa makes a great addition to a mixed native hedge or a fantastic rose hedge. Flowers late May-October producing pink flowers. Grows 20-40cm per year. Supplied as 40-60cm bare roots. Rosa Rugosa is a species that should be present in every garden. The gorgeous Rosa Rugosa has very large open, dark pink, single rose flowers, prickly stems, huge rose hips and an interesting leaf shape. This hedge plant brings interest year round as its foliage turns an attractive yellow in autumn. 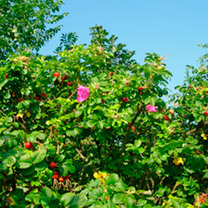 Rosa Rugosa makes a great addition to a mixed native hedge or a fantastic rose hedge. Flowers late May-October producing pink flowers. Available in packs of 25 or 50 bare roots and grows 20-40cm per year. Ideal for beds and borders. Attractive to butterflies, bees and birds. Grows well in sun or shade.